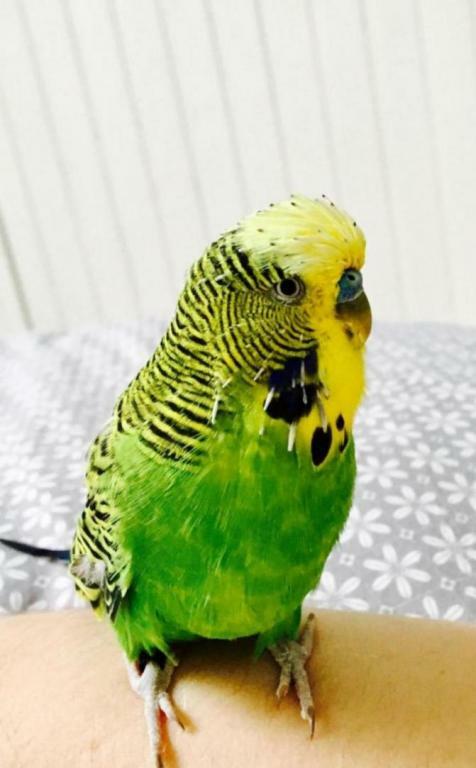 Hi guys, I just want to ask a few questions about my budgie Rico..
1. I believe he is male, never really asked, just presumed - blue area above the beak. 2. A while back he was making a different sound of a chirping noise. It happened when he was bending for food but also when he got a little stressed(moving about etc). I thought it could be breathing issues at the start, but it shortly stopped after a week or so. He also doesn’t have any other symptoms such as fluff, major bobbing tail, he does Bob a bit but I put it down to being only a little over weight. I’m just a little worried, we don’t have a specialist that I know of on the Isle of Man so there isn’t much we can do if it is serious, I’m hoping it will stop again. I have cuttlefish, mineral bar and started putting vitamins into his water. I'm not able to hear the recording. I don't know if it is the recording or my computer causing the problem. Last edited by FaeryBee; 03-28-2019 at 07:50 AM. I had the volume on maximum when I tried to hear it. Sorry I can't help you. I was able to hear it very softly, it sort of sounds a bit like sleep mumbling. Sometimes when budgies are sleepy or very relaxed they will make soft little noises as if they are talking budgie talk to themselves. However they would not be sleep mumbling when active. You indicated he is a bit overweight, how much does he weigh, that might contribute to what you are observing. Thyroid problems (goiter) due to a deficiency in iodine can cause a squeaking noise because the gland becomes enlarged causing pressure on organs in the chest cavity. What do you feed your bird?